Hosts Brazil have been drawn alongside South Africa, Iraq and Denmark in Group A for the men’s football tournament at this summer’s Olympics in Rio. Brazil have never been Olympic champions and lost to Mexico in the final in London in 2012. 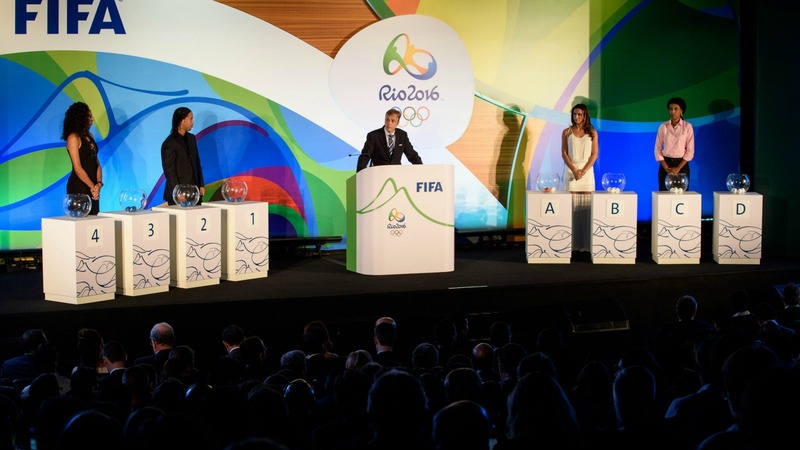 They will open the tournament on August 4 – a day before the Games officially begin – when they take on South Africa in Brasilia, one of six host cities for the competition. Three players over the age of 23 are permitted to take part for each team and Brazil are in talks with Barcelona to free striker Neymar. "All the teams will find it difficult but we are very confident and hope Brazil can win the gold medal," said former Barcelona forward Ronaldinho after helping with the draw. Holders Mexico are in Group C with Germany, Fiji and South Korea. Group B features Sweden, Colombia, Nigeria and Japan, while Algeria, Portugal, Honduras and Argentina make up Group D.
In the women’s tournament, Brazil will face Sweden, China and South Africa in Group E, with the hosts taking on China in the opening game in the Olympic Stadium in Rio on August 3. United States, who have won four of the five Olympic titles, were drawn to face France, New Zealand and Colombia in Group G.
There are only three women’s groups with Canada, Zimbabwe, Australia and Germany making up Group F.